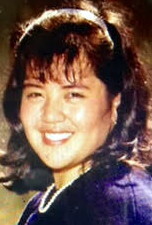 Maria Noelle Abrigo, 50 of Grasmere passed away surrounded by her loving family at Staten Island University Hospital on Wednesday, October 18th. Maria graduated from St. Joseph Hill Academy in Arrochar where she was inducted to multiple National Honor Societies, as well as received numerous other academic high honors and scholarships. She graduated with a B.S. in Biology from Vassar College and a B.S. in Nursing from Wagner College and worked as a critical care nurse at Cornell Medical Center in Manhattan. She loved spending time with her family and friends, celebrating holidays, and exploring the world through food, travel, and popular culture. She is predeceased by her father, Anatolio Abrigo who passed in 1985. Maria is survived by her loving mother, Lourdes Abrigo, her sister, Anna Abrigo and her brother, Dennis Abrigo. Also her loving aunt, Lourdes Mantaring. Funeral services from Cherubini McInerney Funeral Home 1289 Forest Avenue at 9:15am. Mass of a Christian Burial at St. Ann’s R.C. Church at 10:00am. Followed by an interment at Moravian Cemetery. So sorry for your loss,Dr Abrigo. My thoughts and prayers are with you and your family.